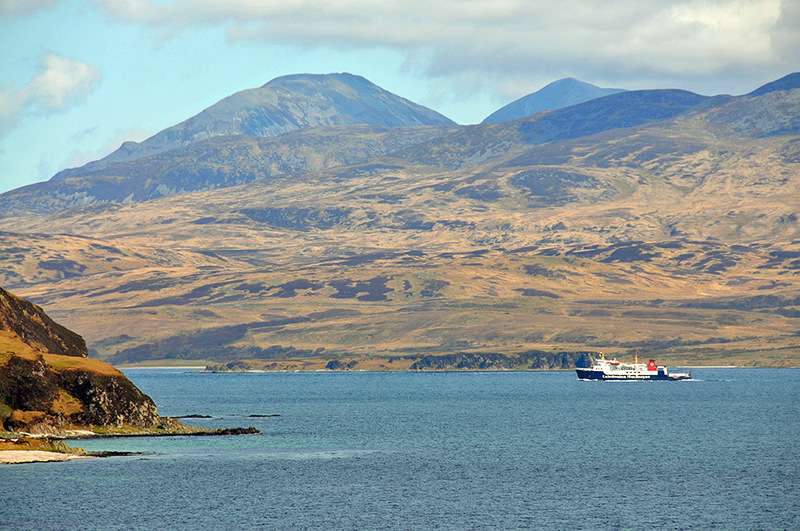 Looking tiny against the hills on Jura, the Calmac ferry MV Hebridean Isles on her way to Port Askaig entering the Sound of Islay. McArthur’s Head just around the corner of the shoreline in the foreground on the left. 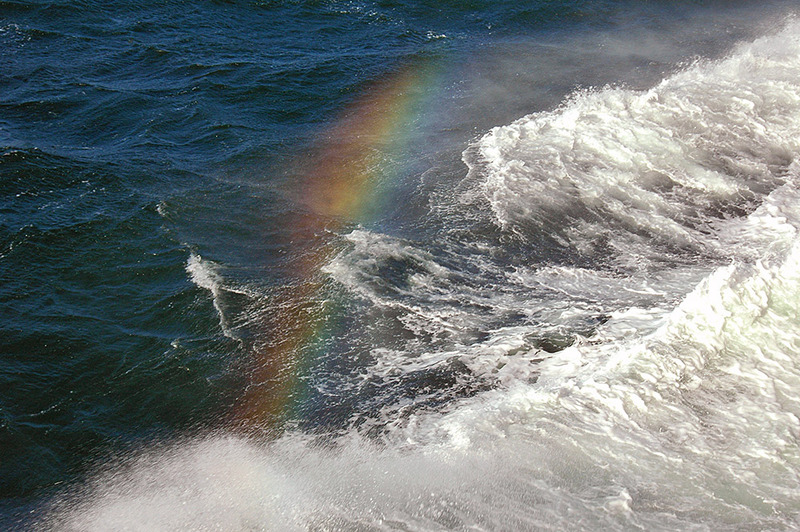 A travelling rainbow, spotted from the Islay ferry MV Hebridean Isles. As spray was blown up from the bow wave a short rainbow appeared, an unexpected view. 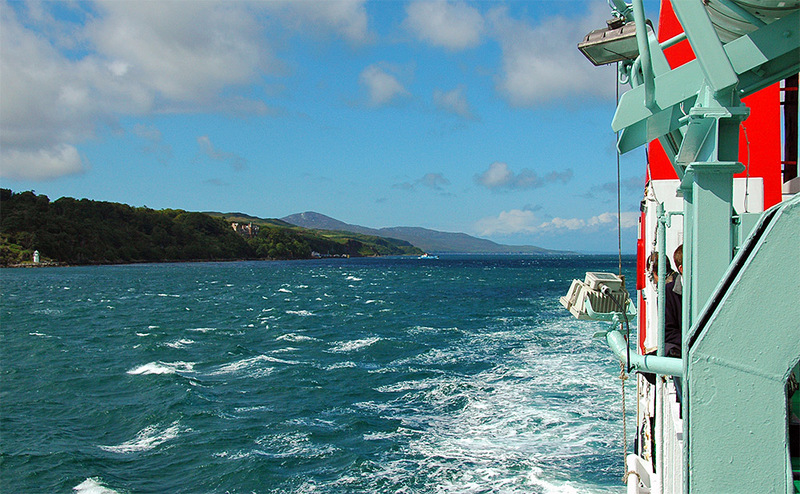 A view from the MV Hebridean Isles travelling down the Sound of Islay on a blustery day. Dunlossit Castle and Port Askaig as well as Jura ferry crossing the sound are visible in the middle distance. Behind it Sgarbh Breac, at 364m the highest hill in the north of Islay, can be spotted.